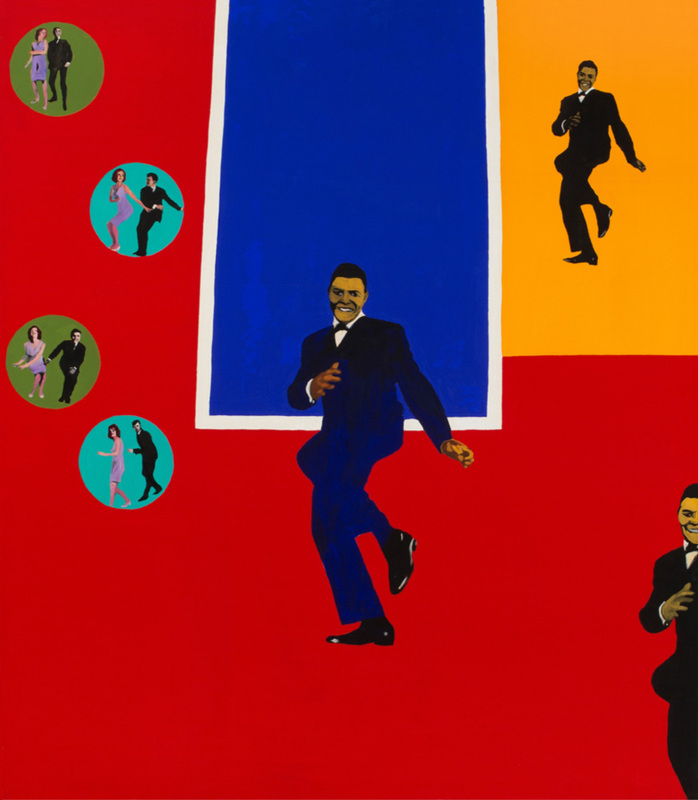 If a picture is worth a thousand words, any of Rosalyn Drexler’s collage paintings would be worth ten thousand. Using blown up cut-outs pasted and overpainted on vibrant fields of color, she transforms the canvas into a single-act play, and it’s no wonder, considering her work as an Obie award-winning playwright and novelist. 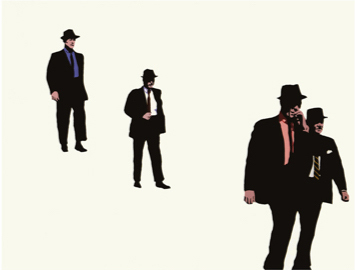 Most of Drexler’s visual stories unfold with the sparest of elements: color-blocking and a few human figures snipped from paper ephemera, some of them vaguely recognizable as celebrities, others anonymous men in black suits. Violence and drama give her paintings a strong sense of the noir, through which she explores themes of abuse against women, romance, crime, and female empowerment. At the “Rosalyn Drexler: Who Does She Think She Is?” exhibition, movie posters that were a source of imagery for her paintings were displayed alongside her artwork, according to Ralph Rubinstein. 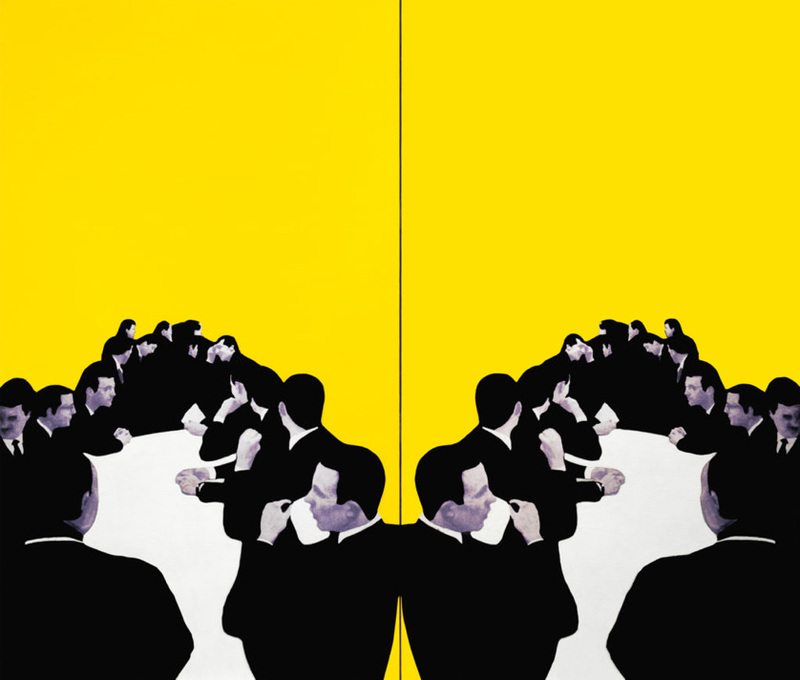 To see the transformation of a piece of advertising design into a painting is fascinating. In a way, she has made a partner of the original designer, paring away at the poster until only the most vital cues remain. How does this change the story? 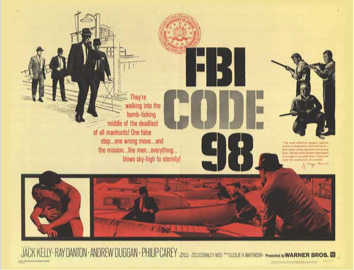 From FBI Code 98 to FBI (1964), I see FBI agents hunting criminals become brooding mobsters on their way to a heist. 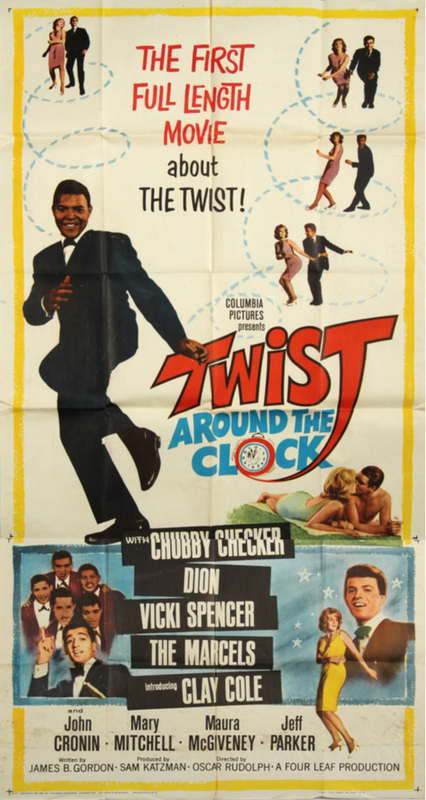 In Chubby Checker (1964), the carefree Twist dancers from Twist Around the Clock become the daydream of a lonely man and his shadow as he works to perfect his moves for his future dance partner. During an interview with Tim Barry at The Arts Fuse, Drexler said, “My work has a hidden agenda, the narrative is more than I reveal, than is seen or heard. The viewer must intuit the rest of the story.” Rarely as designers do we have the freedom to be ambiguous, or to give our audience the freedom to interpret as they like. Perhaps most striking about Drexler’s work is her fearless use of color. Her combinations are often boldly graphic with a high degree of contrast. Aggressive reds, shocking blues and yellows, and rich blacks help give context to the narrative. 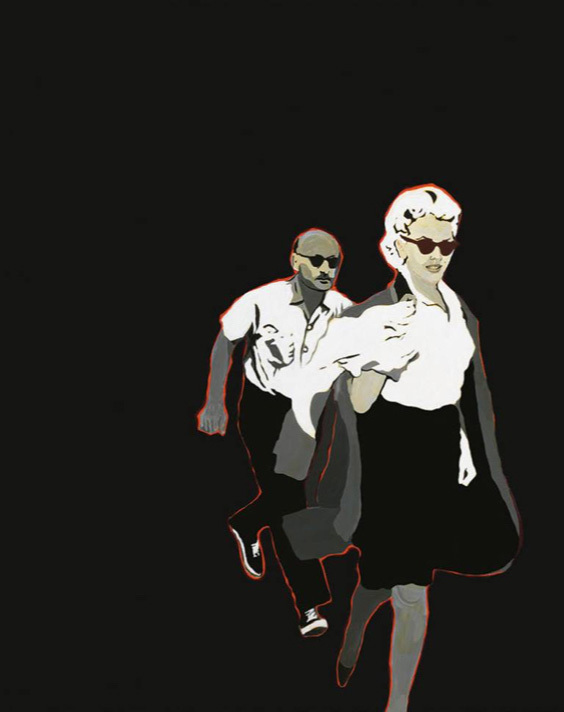 This is particularly notable in Marilyn Pursued by Death (1963) in which Marilyn Monroe and her pursuer are joined by a bright red outline on an ominous field of black. Color becomes symbolic. As Drexler has borrowed from designers, we can also borrow from Drexler. The way she cross-pollinates her passions from different fields has ultimately enriched her work. Through her paintings she teaches us that less is more, color is king, and words aren’t always necessary to carry a narrative.